Q: What length cable should I purchase for my zip line? To answer this question you must first measure the distance between your two anchors. You can do this buy using a tape measure (if you have one long enough) or you can start at your first anchor and walk toe-to-heel, counting each step until you reach the second anchor. This will give you an estimate of exactly how far apart in feet that your anchors are from one another. Most likely you will end up with an odd number, say 182 feet. 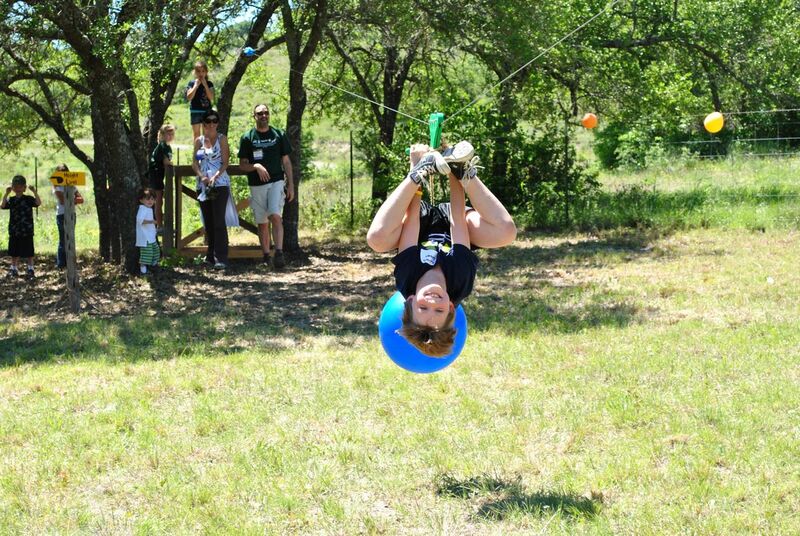 If you buy a zip line kit that includes a 200 foot cable you might come up short. As a general rule of thumb you should increase your zip line length buy 50 foot increments. The good news is if you have extra cable you can put it to use! 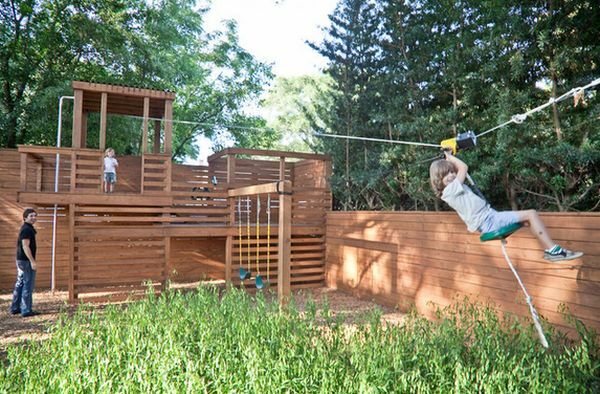 You can create Zip Line Cable Sag, many homeowners who buy zip lines think that their zip line cable will be guitar string tight between the two anchors. This is false. Zip line cable sag is healthy for the zip line because it reduces anchor strain and will create a natural gravity brake on the portion of the zip line that is up hill. You can also wrap the cable around a tree to anchor your zip line further, most zip line kits include extra cable for anchoring purposes. You can loop the cable back onto itself and form an eye. You may do this on zip lines that will not have the main cable wrapped around a tree. Instead you would fold the cable back onto itself to create an eye hole. The eye can hook into your anchor hardware and will help tremendously when completing your terminations. This generally takes up an extra 2 feet of cable. If your zip line is so long and your anchor points are super high, you may need tons of extra cable to get it up in the tree to begin with. This is called High Anchoring. After you tension your extra cable you cut the cable using an industrial cable cutter and then wrap the ends in electrical tape or cable caps. For more on zip line elevations click here. This helped a lot thanks!